In the 1920s the German scientist Emanuel Goldberg (see biography of Emanuel Goldberg) of Zeiss Ikon, Dresden, pioneered the electronic retrieval technology and library automation. Goldberg designed, built and demonstrated a "photoelectric microfilm selector" which contained many, if not all, of the concepts history of science professionals now associate with Vannevar Bush. It seems this was the first practical application of electronics to the selection of data on film. In 1914, Emanuel Goldberg developed a machine that read characters and converted them into standard telegraph code (early OCR). Later (by May 1927) Goldberg designed a photoelectric microfilm selector, which he called a statistical machine. Two prototypes were built at Zeiss Ikon by 1931 and, perhaps, constitute the first successful electronic document retrieval. During the International Congress of Photography in Dresden in 1931 Goldberg presented his "Statistical Machine," a document search engine that used photoelectric cells and pattern recognition to search the metadata on rolls of microfilmed documents. The Congress of Photography in Dresden in 1931, must be regarded as a peak in Goldberg's career. 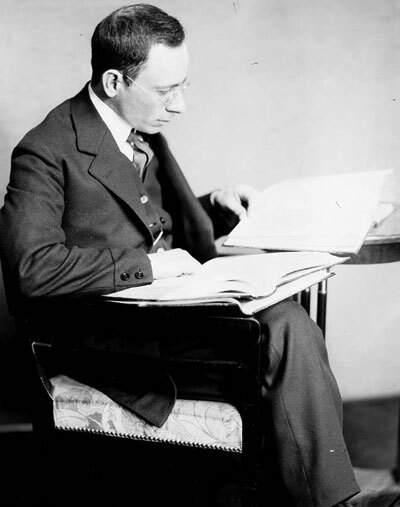 It was the proposal presented on behalf of the Committee for Sensitometry by Goldberg and his professor Robert Luther for a standard measure of film speeds that became the principal topic of discussion. This proposal led to the adoption of the familiar DIN and ASA film speed ratings. At the Congress Goldberg gave extremely interested lectures and was awarded with prestigious Peligot medal of the French Society for Photography and Cinematography. These events seem to have overshadowed a paper that Goldberg presented at one of the technical sessions entitled "Neue Wege der photographischen Registertechnik" ("New Methods of Photographic Indexing"). 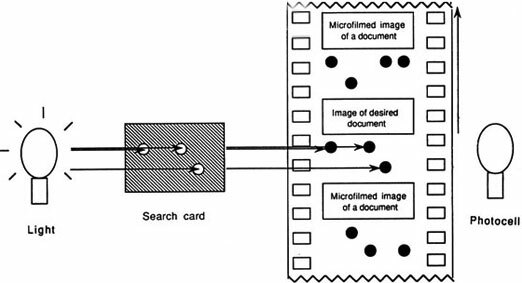 It was a clear and concise paper describing the design of a microfilm selector using a photoelectric cell. It is, perhaps, the first paper on electronic document retrieval and describes what seems to have been the first functioning document retrieval system using electronics. A prototype was also demonstrated. In the 1920s microfilm had become popular as a storage medium for records (e.g. in banks), and all kinds of people were busily inventing microfilm equipment. Microfilming saved storage space and banks found that microfilming cancelled checks was a useful measure against fraud. But, since the documents were unlikely to have been microfilmed in an order that was convenient for identifying individual records, the question became how to search for any given document. Obviously the best solution was to have an integral retrieval system (one which combined the index and the document). There are two logical possibilities. One could attach frames of microfilm to the card ("aperture cards") or one could record the logical equivalent of a punched card on to the microfilm alongside the image of the document. One might punch holes in the film or arrange opaque and translucent spots on the film to denote hole or no-hole. Each of these techniques was tried. The usual form of microfilm selector technology is to create a "search card" (a punched card) or template, bearing the coding pattern sought, and align it and the coded areas on the microfilm between a light source and a photoelectric cell. In the upper picture you can see the Statistical Machine's sensing mechanism. Rays from the light are blocked by the search card except the holes for the code being sought. 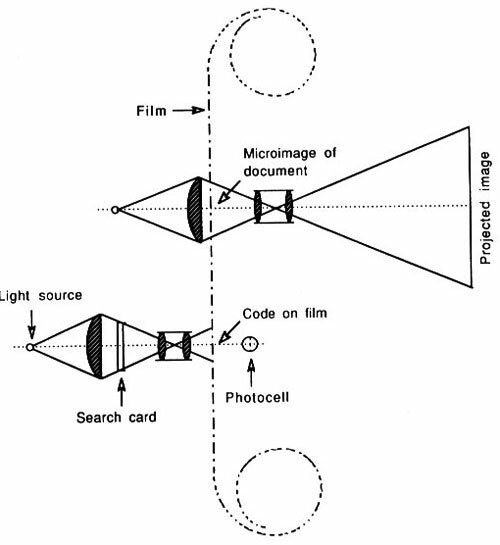 As the microfilm bearing codes moves past the search card (see the lower picture), the coincidence of a pattern on the microfilm matching the pattern on the search card would affect the flow of light from the light source to the photocell and, thereby, the flow of electric current from the photocell. In this way the desired record is identified and appropriate action, such as the creation of a copy, is triggered. When Goldberg's U.S. patent appeared in 1931 (see the patent US1838389), IBM promptly acquired a license for it. James Bryce, the Chief Scientific Director of IBM, monitored new developments in electronics and was interested in microfilm as a data storage medium. Later in 1936 Bryce himself applied for a patent for an advanced microfilm selector. Note: For more information on Emanuel Goldberg, see Prof. Michael Buckland's book "Emanuel Goldberg and his Knowledge Machine" or his web page http://people.ischool.berkeley.edu/~buckland/goldberg.html.